Think Tank has a new rolling camera bag and a drone backpack for traveling, the Airport Advantage and Airport Helipak for 3DR Solo. 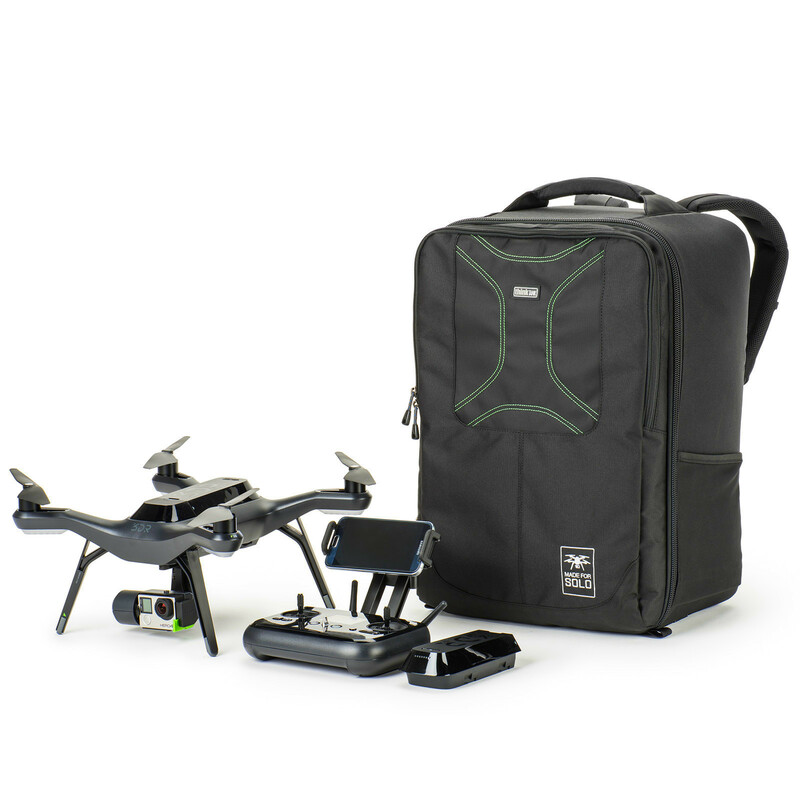 The Airport Advantage bag is designed for safely transporting cameras and lenses, while the Helipak model is designed to transport the 3DR Solo drone, a 15-inch laptop, and related drone accessories including the controller. The Airport Advantage bag meets both international and US airline carry-on requirements, according to Think Tank, weighing in at 5.8lbs / 2.7kg with 2.7 W x 19.5 H x 7.3in D / 32.3 x 49.5 x 18.5cm external dimensions. 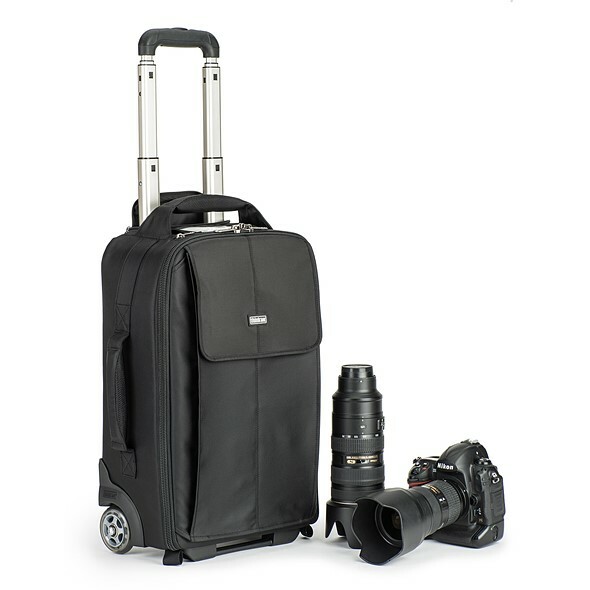 This rolling bag can accommodate various camera and lens arrangements, such as two gripped DSLRs with lenses and three or four additional lenses, a pair of mirrorless camera bodies with ‘lots of lenses,’ or a standard DSLR with attached lens alongside three or four other lenses, a 15-inch laptop, and a gripped DSLR with an attached lens. The Airport Helipak, meanwhile, is a soft-bodied backpack with a dedicated pocket for a 15-inch laptop, plus a custom divider that enables the wearer to reconfigure the bag’s space to accommodate other gear. According to Think Tank, the bag can hold the laptop, 3DR Solo drone and its controller, a charger and spare rotors, extra batteries, tools, GoPro cameras, a jacket and other items. The backpack weighs 4.6lbs / 2.1kg and has 14 W x 20.5 H x 9in D / 35.6 × 52.1 × 22.9cm external dimensions. Both the Airport Advantage and the Airport Helipak for 3DR Solo are available now for $249.75 and $199.75.